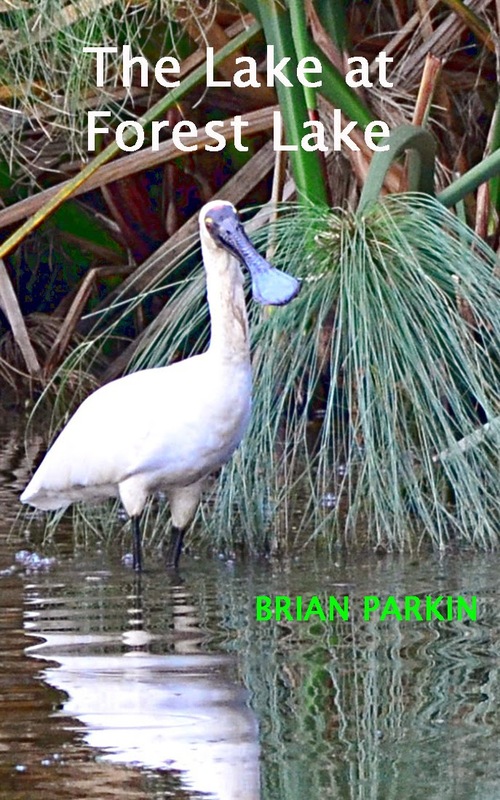 Today we are interviewing Brian Parkin about his nonfiction books. I was born in the north east of England, just after the Second World War when times were hard and you could only obtain basic food and clothing items with ration books. I never knew that we were poor until I joined the Royal Air Force in 1967. My first week’s wages were one pound eight shillings, which is the equivalent of about two dollars today. During my twenty-four years in the RAF, I visited many places overseas and served in the Falkland Islands and Desert Storm, the first Gulf War. I left as an environmental health Warrant Officer in 1991 to come to Australia where I was employed as an environmental health officer, better known as a health inspector. I was also employed as a senior policy officer at State Government level before retiring in 2010. On retirement, I fixed computers before starting a business as a pet portrait photographer. I currently live in Brisbane with my lovely wife, Ivanka, Murphy our cat and Moxie our dog. I also feed two stray cats, a bush turkey and a possum family that come to visit us every day. You’ve written four books on teenage issues, “Talking with Teenagers,” “School Bullying Must Stop,” “Teens, Texting, and Twitter,” and “Teenager Depression.” What inspired you to write about teenage issues? As a father and grandfather, I felt very concerned that young people seemed to be getting a raw deal from parents and their peers. I wanted to educate parents particularly about the needs of teenagers, and at the same time find some common ground between the two groups. How did you do research for your books on teen issues? I based much of it on the mistakes that I made with my two children when they reached teen years. I made many mistakes because I didn’t take the time to understand their needs. I access community forums about teenage issues, where I listen, and contribute where I can. 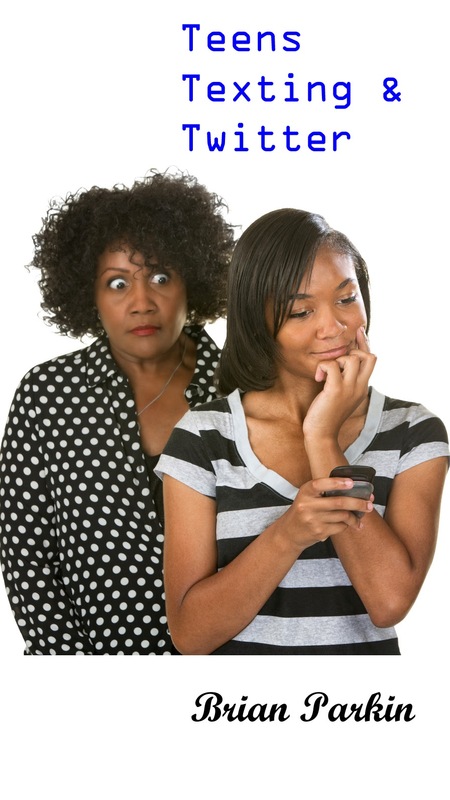 What do you think is the biggest challenge parents face in raising teenagers today? Parents don’t often have the time to spare to get to know their kids and by the time they return home from work, they are already tired and cranky. The teenagers themselves are going through major physical and mental changes and want someone to talk to about their issues. They don’t want to be criticized or spied on all of the time. They do want advice and to be trusted. Parents need to make time for heir kids. Switching gears here, you also have written two photo books, “Lighting Diagrams” and “The Lake at Forest Lake.” When did you first get interested in photography? I have been interested in wildlife photography since my early years in the RAF forty years ago when I travelled to such place as Hong Kong, Sri Lanka, Ascension Island, the Falkland Islands, Oman and Newfoundland. When I retired, I converted my garage into a photographic studio and operated a pet photography business from there. My “Lighting Diagrams” book continues be in the top 5 for its category on Amazon, after a year of being published in January 2014. What has the process of improving your photography skills been like? Did you take courses or are you self-taught? My photography skills were the same as everyone else when I was younger. You clicked the button and waited for out of focus photos to come back to you. When I discovered digital photography, my skills improved unbelievably. I could take as many instant photos as I wanted to with virtually no cost other than the cost of buying my gear. I studied up on the technical aspects of digital photography as well as the associated photo imaging techniques. I took several online courses but I’m largely self-taught. I am a typical photography buff. If there is something new on the market, I want it, I need it, and I have to buy it. My study has a large 16 cube storage setup with cameras, lenses, tripods, reflectors, lighting, ad gizmos of every type. I use Nikon gear because that’s what I first bought and all my lenses fit my three Nikon cameras. What are your favorite subjects to photograph? Do you travel far for your photography or mostly take photos locally? My favorite subjects are animals and wildlife, both flora and fauna. Birds are high on my list too. I travelled a lot when I was in the RAF but once I retired, I became a bit of a homebody. Where I live, there is an artificial lake with hundreds of birds and water dragon lizards. It’s enough to keep my interest in capturing stunning images. I also feed birds and animals that come into my small suburban back yard. This gives me opportunity to get some magnificent close up shots. What do you have in mind for your next non-fiction writing project? digital cameras because they think it’s all too difficult to master. I would also like to write about the agonies of stuttering and how I overcame my disability by becoming a public speaker. Anything else you’d like to add for people interested in your non-fiction books? Examples of my photography and writing can be freely accessed by viewing my Blog, at http://hawaygeordie.wordpress.com/ or by joining the 30,000 people following me on Twitter @brianparkin. 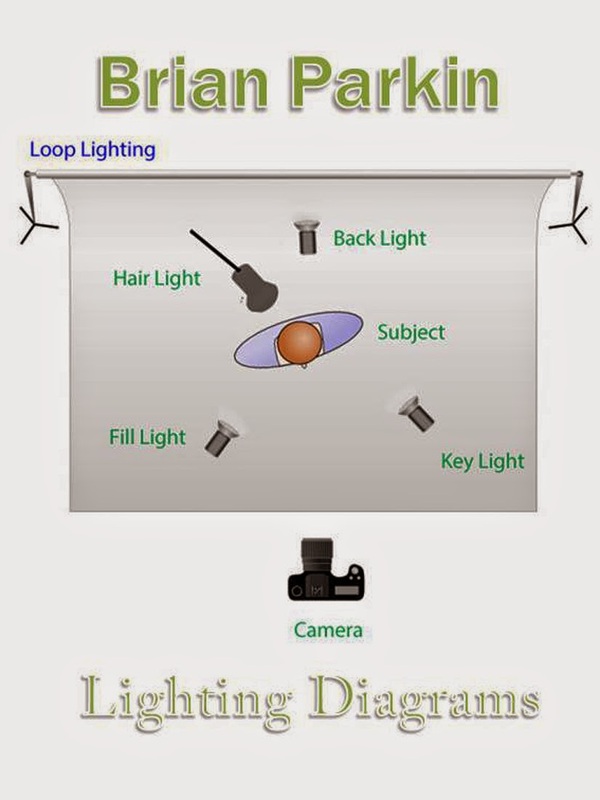 "Lighting Diagrams" is an eBook which is meant to be a guide to those photographers just getting started in studio photography. 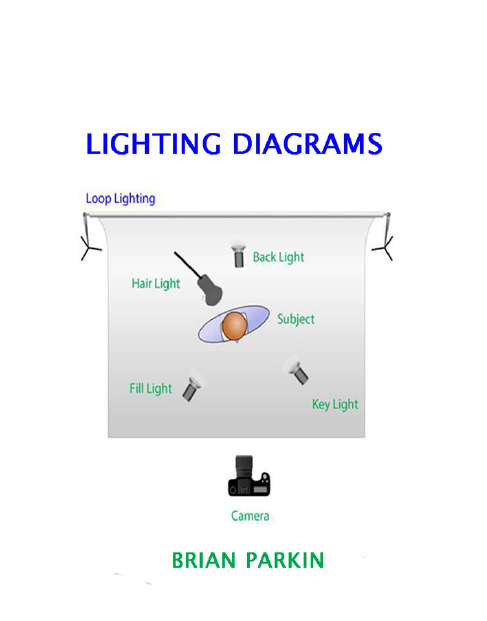 The simple lighting setup diagrams in this eBook allow you to visualize and recreate lighting equipment setups for everyday portrait sessions in the studio. "Teens, Texting and Twitter" is a guide for parents who may be confused or concerned about their teenager’s use of texting or social media. The eBook looks at what texting and social media is all about and how to get into it so that you as a parent have a fighting chance in attempting to communicate with their teenage son or daughter, particularly online. Teenage depression is an illness like any other and needs treatment by professionals. This guide looks at the statistics for teenage depression, its symptoms, causes and the effects experienced by sufferers. It provides information to assist sufferers and support for parents of teenagers suffering from depression. This eBook discusses the reasons for this conflict among parents and their teenagers and what can be done to strengthen relationships and develop trust so that meaningful dialogue can occur. The concept of child bullying in schools has taken on another dimension. The previously well-known physical and verbal bullying are now giving way to cyber bullying, due to the proliferation of the Internet and the use of mobile devices for every day communication. The disturbing aspect about this type of bullying is that the methods and effects suggest that it can be more detrimental than perhaps physical or verbal bullying ever was. This eBook is meant to give you an insight into school bullying statistics, bullying ways , and in particular concentrating on the recently emerging cyberbullying. The bullying facts about types of bullying will assist students and parents alike in how to respond to bullying ways. This photo book is a collection of images captured around the lake at Forest Lake. Forest Lake is an artificial lake located 20 km south west of Brisbane in Queensland, Australia. All images have been shot by the author over a period of 2 - 3 years. The images are predominantly of wild birds, a few water dragons and some close ups of butterflies and insects.